It is hard to believe that the last days of the summer are upon us. Pretty soon, with a chill in the air, we will be craving the butternut squash soups and oven roasts. But while we are still enjoying the sunny days and warm rides, we wanted to share with you one of our absolutely favorite salad recipes that will let you hang on to the summer a little bit longer. (And if you are lucky enough to be in the Southern hemisphere right now, this is a perfect fresh way to welcome spring). This is not your standard mayonnaise laden tuna salad. It is the version for athletes who care about their palate as much as they care about nutrition. It is packed with crunch and spice that will have your taste buds dancing, and proteins and good fats that will fuel your performance. And the best part? A total 20 min prep time from beginning to the end! Just to warn you: you’ll be asking for seconds. Mix all the ingredients for the tuna salad. Toss the salad greens with half of the dressing and divide between four plates. 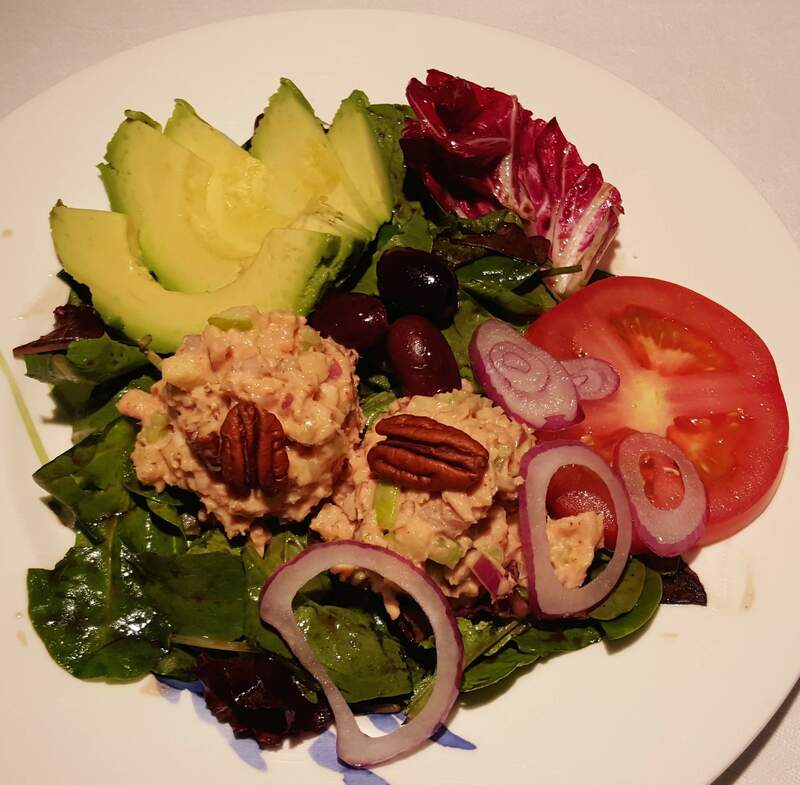 put two generous balls of the tuna salad on top of the greens. Top with the olives, red onion slices, and the pecans reserved for garnish.